I was on my way out to buy a new memory foam mattress – which I’ve had before and loved – when Brian from Sleepovation emailed me asking if I would endorse their mattress. Having never even sat on a Sleepovation mattress, of course I wasn’t prepared to offer an endorsement, but I was happy to give the mattress a try. A true endorsement will only ever come from me, if I love and use a product regularly. Brian was cool with that and within the next 48 hours, my Sleepovation mattress arrived in a box. There are several things I love about this mattress, and a few things I’m not so keen on. Here is my review of the Sleepovation Mattress in a Box. I’m not that keen to endorse something that can be so subjective. Have a read of my pros and cons, do a little research and then decide for yourself. Support: Sleepovation claims to be the first ‘pocket system’ mattress. In theory, the individual suspension system (made up of 700 tiny mattresses) supports the spinal column and each bone separately. It cradles the body’s curves while providing enough firmness for the back’s muscular and bony structures. I was skeptical when I first sat on my Sleepovation Mattress because it felt softer than the firm memory foam mattress I have slept on for years. My first night’s sleep, I slept for 10 hours straight and didn’t wake to use the bathroom once! That was miraculous for me. 2. Cleaner: The Sleepovation has removable washable covers – two in fact! The one you see with the blue zipper in the image above and an elastic mattress cover that fits over the top of the quilted cover. This is a definite benefit; as a quality mattress cover can run upwards of $100. You can also vacuum between each of the tiny mattresses to remove dust. That’s pretty unique! 3. Cooler: The individual pocket system allows air to circulate right through the mattress channels. I don’t suffer from being too hot at night, so it will be interesting to hear from some of you on this potential benefit. 4. Motion Isolation: Because each of the 700 tiny mattresses move independently, you shouldn’t get much co-sleeping disturbance from your partner. So far, I have found that to be true. 5. Greenguard Certification: Greenguard products are certified for low chemical emissions, so are considered acceptable for sensitive individuals. I don’t have any allergies myself, so that will be for you to decide. No Slats: Because there are 700 individual mattresses, a box spring underneath isn’t ideal and neither are slats, because the individual segments can slip through. 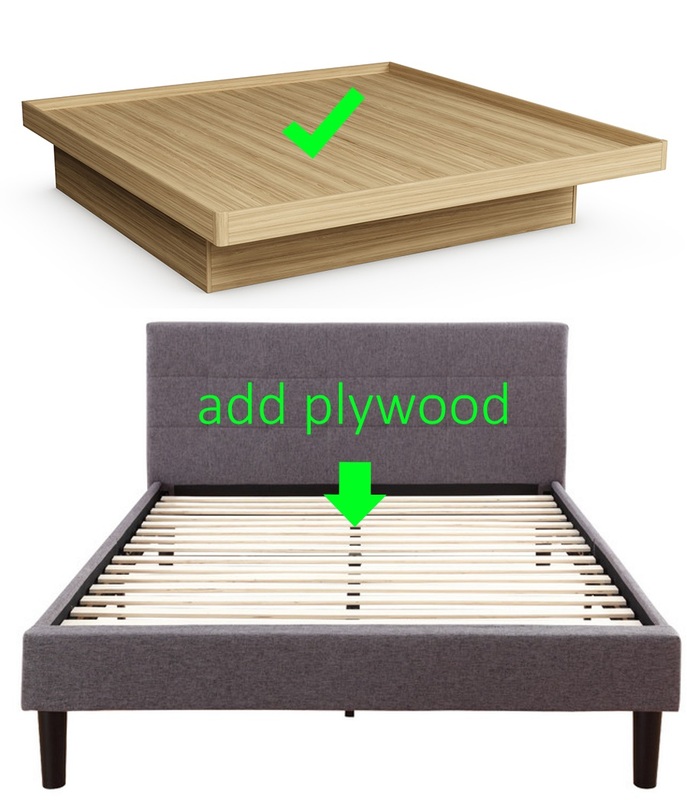 So you need to use a platform bed or, you can simply buy a thin sheet of plywood, to place overtop of your slatted base. 2. Not Organic: The material for the Sleepovation mattress is not organic. Organic mattresses are part of the luxury mattress market and you can expect to pay upwards of $3,000 for one; and by the way, memory foam mattresses are also not organic. Typical (non luxury) mattresses contain chemicals that are probably not that healthy for anyone, but particularly not safe for babies and children. Most mattresses contain petroleum based chemicals, toxic foams, synthetic fabrics, and fire retardant barriers or chemicals. These chemicals can off-gas and expose your family to dangerous toxins while they sleep. Organic mattresses are often made of cotton or wool and use no chemical treatments, but do your research before you buy! 54 years on a quality mattress. 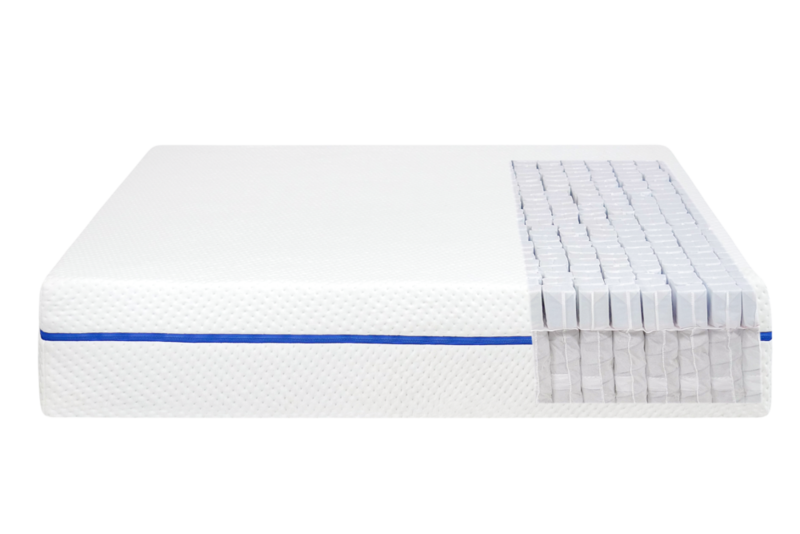 54yrs x 2,880 hrs/year = 155,520 hrs sleeping on your quality mattress this lifetime. 155,520 hrs / 24 hrs (per day) = 6,480 days of your adult life spent sleeping! That is 18 total years spent sleeping from age 30-84! Slightly depressing isn’t it. $1,500/6,480 days = approximately 23cents/sleep on your Sleepovation Mattress. I’m ok with that. You? 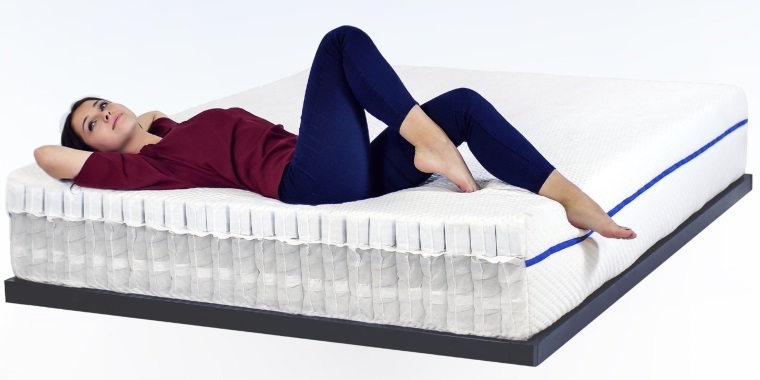 >> SleepOvation Mattress discount: Use coupon code POSTURE to save $50. Disclosure: I am provided a small fee for sales that result from this mattress endorsement. I really do sleep on and love this mattress! If you prefer not to purchase using my discount coupon, please buy directly from the Sleepovation website. I don’t see the small pillow you recommend on the mattress site. Where can I get one? Thank you for your question. I don’t recommend pillows because I find pillows are a very personal preference. I do recommend in the video, the size and positioning of pillows and that personally I love my soy memory foam pillows. These are widely available in most mattress chain shops. I believe that is where I purchased mine. Interesting concept. Can I ask what material are all the small mattresses made of and do they have inner springs or just some type of foam/s? I’m also curious about breathability. If there are air gaps between each little mattress, but they’re all sitting on a flat sheet of plywood then where does all the moisture from sleeping bodies go? I know that they generate a lot of moisture each night also heat can destroy foam and limit life/durability. I have to confess I love our slat bed with a regular mattress on top and chose it specially for the coolness. Older women (such as me) can suffer terribly with heat at night, there’s no way I could contemplate a memory foam mattress, I’d be sweltering and never get any sleep! The thin sheet of plywood sits on top of your slats and then the mattress sits on the plus as it would sit on the slats. The moisture goes into the mattress or cover as it would with any mattress. I loved the memory foam I used to have but I too and of that ‘sweet’ menopausal age where I would really overheat on foam. The pockets on Sleepovation have individual springs. It’s pretty remarkable squeezing down on each individual ‘mattress’ and watching it spring back to form. I’ve not once had a night sweat on it. Very good ongoing temp for me. Slats aren’t a problem as such. I just use thin (mm thick) of ply. The support feels fantastic! Copyright © 2019. Posturo Global Ltd. All Rights reserved.